As one of our final sessions as a group before hand in, we decided to choose what activities in the magazine we would have. We thought about dot to dot pictures, but that came across too young for our audience. We finally came across the idea of using a “Where’s Wally” activity where the child must find Wally amongst a crowd on a beach. We decided on this activity because we found that nearly every age could enjoy this task, and it is a well-known popular one. We also wanted a front page for it advertising this game to the reader, to entice. We found an image of Wally under a spotlight which we thought was perfect and clear. 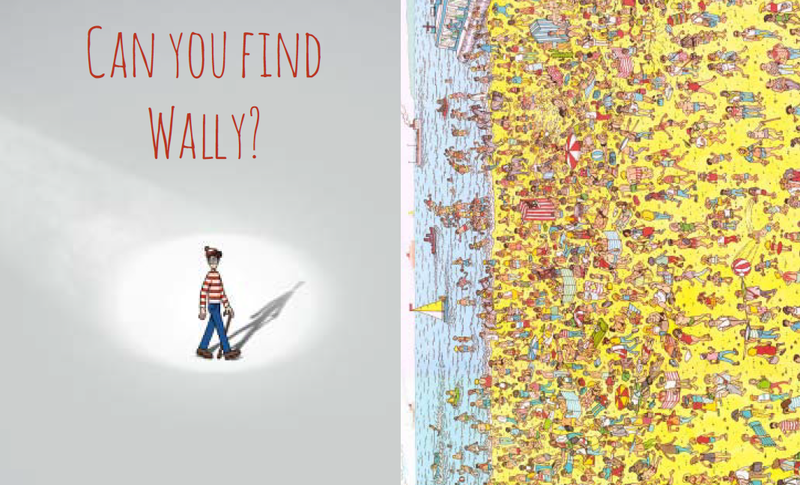 We also used “Can you find Wally?” as a title for it. We initially thought putting the letters into a red and white format to match Wally’s famous fashion sense, but we came across problems with the font and left it red, which I think makes it look better anyway. In the next session, two days before the deadline we plan to add in some more advertisements, and choose what contents we will use and what order etc.